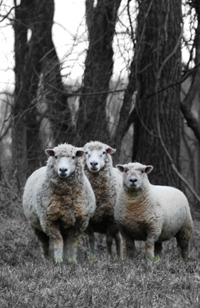 At Broadwater Farm, we raise cattle, sheep, and chickens to provide beef, lamb and eggs to online shoppers and members of Charlestown Farm, an adjoining community supported organic vegetable farm. 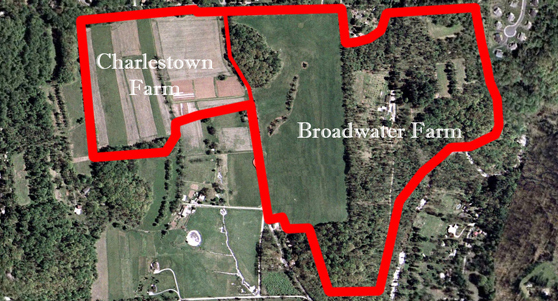 Broadwater Farm contains 150 acres of rolling pastures and woodlands in beautiful northern Chester County just south of Phoenixville, 21 miles from Center City Philadelphia and 2.5 miles from the newly opened Great Valley interchange of the Pennsylvania Turnpike. We raise our animals on lush pastures using a simple natural approach to produce meat and eggs which are both delicious and healthful. We do not use chemical pesticides, herbicides, or fertilizers on our pastures or give our animals the growth hormones or antibiotics widely used in the large scale industrial operations where most meat and eggs are produced today. Rather than spending their lives in crowded stockyards or small pens where close quarters and unsanitary conditions lead to health problems, our animals live in open fields where they eat grasses and legumes.